Dr. Jeff Nunez (Chief of Emergency Services) graduated from Louisiana State University in 1996. He completed a one year internship at Angel Memorial in Boston which has an annual case load of45,000 patients. He worked for a year in general practice before becoming anemergency clinician for a 24 hour referral hospital in 1998. He lives in Orange County with his daughter and two sons. Dr. Noelle White attended the University of Tennessee where she received her Bachelors and Doctorate of Veterinary Medicine. Upon graduation, she practiced in an emergency hospital in Virginia for 3 years before joining TVRH in 2003. Dr. White currently resides with her family in Garner, NC. She lives with her husband, two children, a Pembroke Welsh corgi 'Manning', a green cheek conure 'Shirley', and numerous parrotlets and finches. Dr. German Duran graduated from veterinary school in Colombia, South America where heinitially practiced. He moved to the US in 1998 and worked as a veterinary nurse with a referral practice for 5 years. In 2003 he was certified by theUS Veterinary Board and has practiced emergency medicine since that time. Dr. Kate Hamon graduated from the University Of Tennessee College Of Veterinary Medicine in 2012. She then moved to Northern California and completed a one year rotating internship in small animal internal medicine, surgery, and emergency medicine at the VCA Sacramento Veterinary Referral Center. She stayed on in the area for another year, doing a mix of general practice and emergency. She has spent most of her life in the Triangle, and so decided to return, joining the emergency team at TVRH in 2014. She currently resides in Durham with her Plott hound mix, ‘Sadie’. Dr. Bethany Walters is a Chapel Hill native and has lived in the Triangle for most of her life. Her undergraduate degree is in mechanical engineering, but she made the transition to veterinary medicine and could not be happier to be playing with animals every day. She graduated from NCSU College of Veterinary Medicine in 2014 and did two internships, one in small animal medicine and one in exotic animal medicine (she is happy to see whatever species walks/slithers/flies/swims through the door). 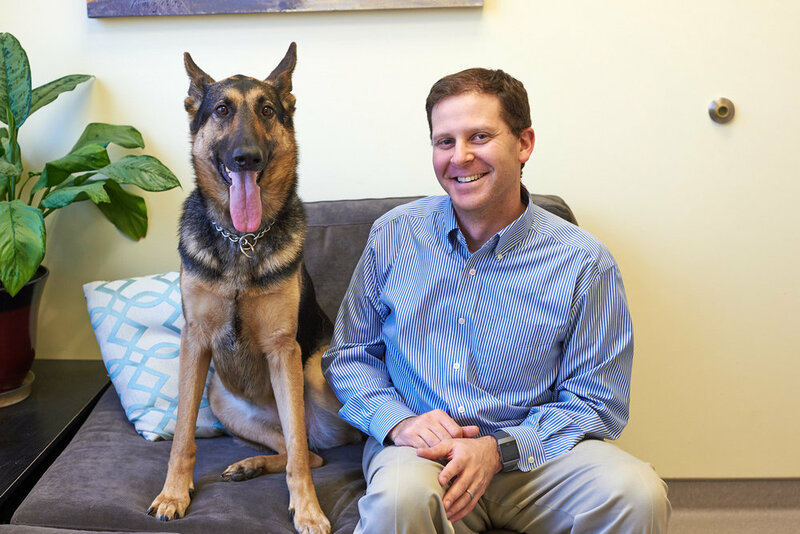 Dr. Walters joined TVRH in 2016 and looks forward to serving you and your pet. Dr. Katie Hoff is originally from Massachusetts, and graduated from Tufts Cummings School of Veterinary Medicine in 2015. Upon graduation, she practiced emergency medicine for three years in Philadelphia prior to joining TVRH. An alumna of Duke, she is happy to find herself back in Durham. She currently resides in Durham with her husband and their two pets- a cockatiel named Houdini and a mixed breed named Cameron. Dr. Mike Nystrom is a true local growing up in Cary and Apex. He graduated from the University of Tennessee College of Veterinary Medicine in 2013. Following graduation, he then went on to complete a one year internship at Tufts Cummings School of Veterinary Medicine in Massachusetts. After his internship he returned to the University of Tennessee to complete a specialty internship and then residency in emergency and critical care. He is very excited to return to the Triangle, with his wife and three kids. Dr. Mike Grafinger graduated from Mississippi State University in 1999. He completed a one year internship at Animal Medical Center in New York City which has an annual case load of 50,000 patients and over 90 veterinarians. He practiced general medicine in NYC for one year before joining a North Carolina emergency and referral practice as an emergency clinician. He completed a surgical residency at NC State Veterinary School and is one of the few board certified surgeons affiliated with an emergency clinic in the Durham area. He lives in Raleigh with his wife and three sons. Dr. Melissa Chrzanowski graduated from the University of Illinois College of Veterinary Medicine in 2010. Following graduation, she completed a one year small animal rotating internship at the Veterinary Specialty Center in Buffalo Grove, IL. After her internship, she stayed on at the Veterinary Specialty Center and completed her internal medicine residency in 2014. She is very excited to be a part of the TVRH team. Dr. Lisa Woolman graduated from the University of Tennessee College of Veterinary Medicine in 2004. She then completed one year of internship at The University of Pennsylvania in Philadelphia. Dr. Woolman moved to the triangle to begin a 4 year residency in Veterinary Diagnostic Imaging at North Carolina State University in 2005. She obtained board certification in her specialty in 2009. Dr. Woolman provides on-site in-patient and out-patient imaging services for Triangle Veterinary Referral Hospital. She has settled in Chapel Hill with her husband, son, daughter and their pets, 2 dogs and 4 cats. Dr. Jennifer Myers graduated from the Western College of Veterinary Medicine in Saskatchewan, Canada, in 2008. She then completed a one year small animal rotating internship at Garden State Veterinary Specialists and a one year cardiology internship at Animal Surgical and Emergency Center. In 2010 she began a combined cardiology residency and masters degree at Colorado State University. She lives in Raleigh and has a small mixed breed dog named Bruce. Dr. Jennifer Arthur graduated from veterinary school at Ross University in 2004 and completed a general medicine and surgery internship at Kansas State University in 2005. While completing her Radiation Oncology residency at North Carolina State University in 2006-7 she fell in love with the Triangle area and planned on someday returning. She spent 6 years in private practice specialty hospitals in Atlanta and then Phoenix before opting to pursue a second residency in Medical Oncology, which will be completed in April 2014. Dr. Arthur is incredibly excited to return to the Triangle with her fiancée Patrick and fuzzy family members Boris, Esmerelda, Maebelle and Abner.